In 2016 Dr. Kendall opened of his state-of-the-art Sedation & Dental Implant practice in Gregg County. 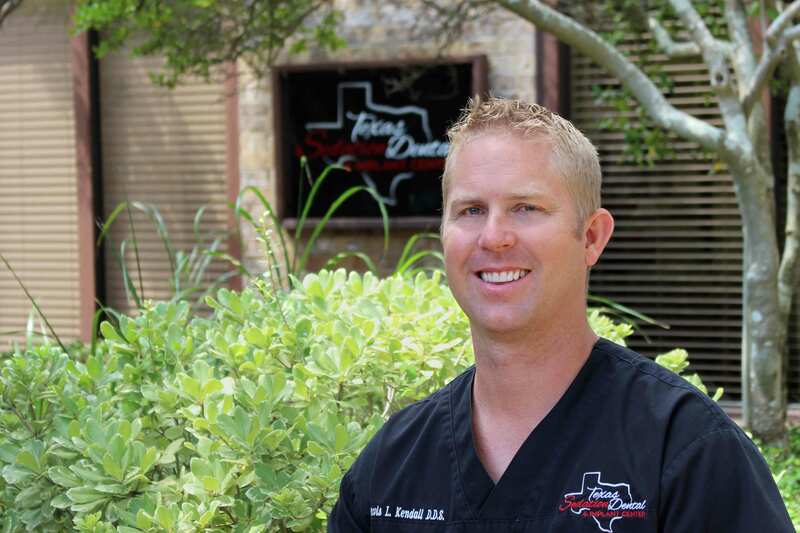 While in dental school Dr. Kendall was introduced to East Texas and has since fallen in love with it and all that it has to offer. Whether it is mountain biking through the East Texas Pines, off-roading in the mud trails, or his personal favorite of wakeboarding in the beautiful lakes throughout East Texas, he loves it all. After graduating with honors from the University of Utah with a degree in Medical Biology in 2004, he continued his education at the Ohio State University where he received a Doctorate of Dental Surgery, Graduating at the top of his class in 2008. Dr. Kendall is passionate about education and has completed hundreds of hours of continuing education over the last eight years. He recently was awarded the Master of the College of Sedation by the American Dental Society of Anesthesiology. This distinction has only been awarded to a handful of Texas dentists. Dr. Kendall also has extensive training in all phases of oral implant rehabilitation including All On 4’s, implant dentures, and single tooth implant replacements. He is a member of the International college of oral implantologists. Dr. Kendall is married to Jennifer Kendall and together they have six children. As a family, they enjoy many different hobbies and pastimes together including boating, hiking, mountain biking and a variety of sports from soccer to volleyball. They are currently attending Alpine church of Christ here in Longview Texas.